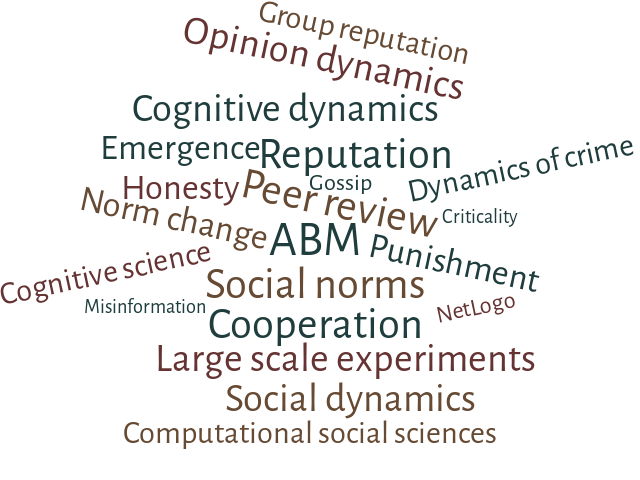 Laboratory of Agent Based Social Simulation: WIPS seminar: "Tell me if you eat, I’ll tell you if you cheat"
WIPS seminar: "Tell me if you eat, I’ll tell you if you cheat"
On December 6th will continue the Work in Progress Seminars (WIPS) series, organized by the LABSS. Eugenia Polizzi di Sorrentino, ISTC-CNR associate, will present her ongoing research on the metabolic alterations on (dis)honesty. Energy levels associated to food intake fluctuate considerably over the course of a day, and studies on consumer choice suggest that such fluctuations can have a considerable impact on the way individuals take decisions. Indeed, there is evidence that short-term changes in energy levels (e.g., due to fasting) can induce behavioural changes in both cognitive and social domains (e.g., memory, self-control, cooperation). Moreover, it is often found an association between obesity, a long-term impairment of individual energy balance and glucose regulation, and various aspects of decision- making (e.g., risk attitudes, temporal discounting, inhibition and impulsivity). As such, there is an increase in interest from the scientific community to better understand the effect of such metabolic alterations on cognitive and behavioural processes. In this study, we explore the effect of both short and long-term metabolic alterations on individuals’ propensity of to behave (dis)honestly. We conducted a lab experiment with 85 lean and 65 obese subjects employing an anonymous die- under-cup task, in which participants privately roll a 3-color die and report the outcome to determine their pay. Subjects in the Satiated group were provided with a standardized breakfast just before the die game, and their blood glucose levels were measured along with BMI and subjects’ hunger perception. Subjects in the Fasted group received the same treatment with the exception of meal, that was provided only at the very end the experiment. Knowing that the probability of observing each of the three possible colour of the die is 1/3, the die-under-cup task allows collecting information on (dis)honesty at an aggregate level and comparing the reported distributions across experimental groups. In this talk I will present the main hypotheses, preliminary results and discuss some of the factors potentially determining the shift in behaviour. Work in Progress Seminars (WIPS) are interdisciplinary seminars for the cognitive and behavioural sciences (including biology) as they pertain to humans. WIPS are meant to be a venue for presenting early to mid stage and experiment-related research.